Bring this property to its full potential. River side property with workshop and storage complex. This beautiful 3 acres of beautiful country is nestled into the quaint small town of Gardner, Colorado. The property is accessed from the north end by U.S. Hwy 69 and adjoins the trout-filled Huerfano River to the south. From all directions you can view breathtaking mountains and river bottom scenery. The house is very spacious and roomy with 5 bedrooms and 2 baths with a large basement. It has recently been rehabilitated for the next owner to take over and holds a great deal of potential for any number of end-uses. Other improvements on the property include a very large and well-built workshop that could fit as many as 5 cars. This shop could be a mechanics dream shop or any number of other creative uses. The property is now being supplied with water from the city as well as sewer but there is also a water well on the property that has not been used in some time. There is a large lot fenced in around the storage complex providing a healthy amount of space for boat, RV or other uncovered storage. The owner has always rented this space out as well. The whole 3 acre lot is fenced and gated. 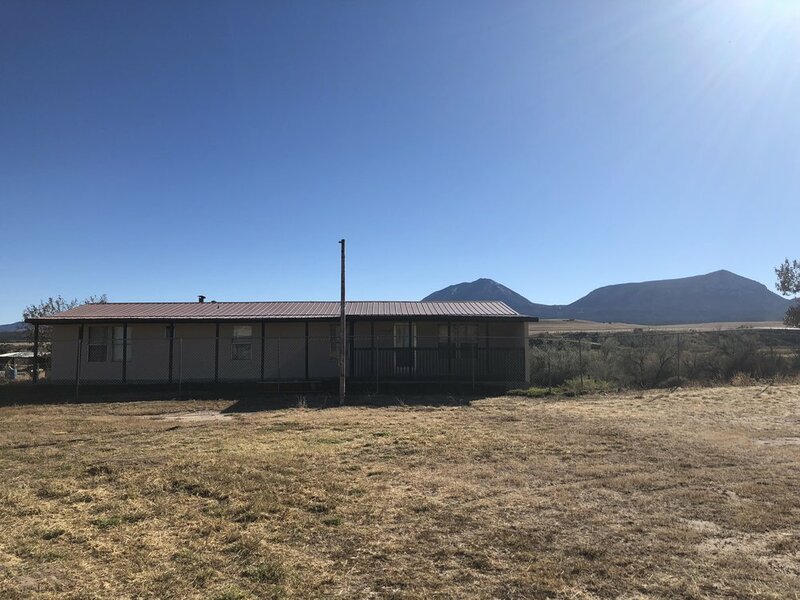 In its entirety this property could really offer a good income from the storage complex and yard, the home, workshop and pasture in back could all be additionally rented out or utilized for income purposes. Located just off of the south side of U.S. Highway 69 in Gardner, CO. Just about one hour from the city of Pueblo and a public airport, or 30 minutes from the town of Walsenburg.